Cancun is one of the most beautiful destinations in the Mexican Caribbean, where you will find the very best of the services and the entertainment that will be part of the day to day experiences during your vacations, including the Top things to do in Cancun, Riviera Maya, Isla Mujeres, and Cozumel Island. 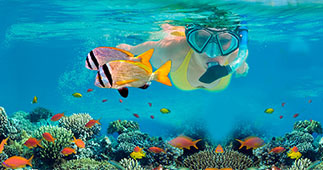 Cancun Adventure Tours has the best Excursions sightseeing and Tours, including Costumer Service, Professionalism, Price, reliability, we offer a wide selection of Tours and Activities In the area, and the best deals with the Lowest Prices. Booking your Tours with us will give you the opportunity to arrange the Best Tours, Private Tours, Mayan Ruins Tours, Water Sports, Deep Sea Fishing Trips, Luxury Yachts for Rent, Discover Scuba Diving, Snorkel Tours, Zip Lines Tours, ATV Tours, Whale Shark Tours and more!. Cancun Adventure Tours will take to discover some of the most amazing places such us Chichen Itza, Tulum, Coba, Xcaret, Xel-Ha, Cenotes, Cozumel Island, Isla Mujeres, where you will be able to enjoy the experience of a day full of fun and adventure, or just to relax. Doesn’t matter if you are Staying at any of the Cancun Hotels, Riviera Maya Hotels, Playa del Carmen Hotels, Cozumel Hotels, or you are arriving con a Cruise Ship, you will be able to Book Tours we us and we will provide you the Pick Up Times at the Lobby of your Hotel, Cruise Ship Pier, or the Nearest meeting point.